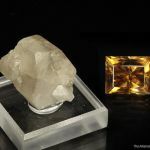 2.0 x 1.8 x 1.6 cm (Specimen); 37.66 carats; 15.99 mm x 12.99 mm (Gem) - A fantastic rough and cut set of Phosgenite, mostly because the stone is so darned impressive. 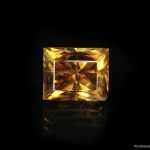 Not only is it a large gem, weighing in a over 37 carats, but it has a magnificent rich cognac hue and amazingly good clarity as well. 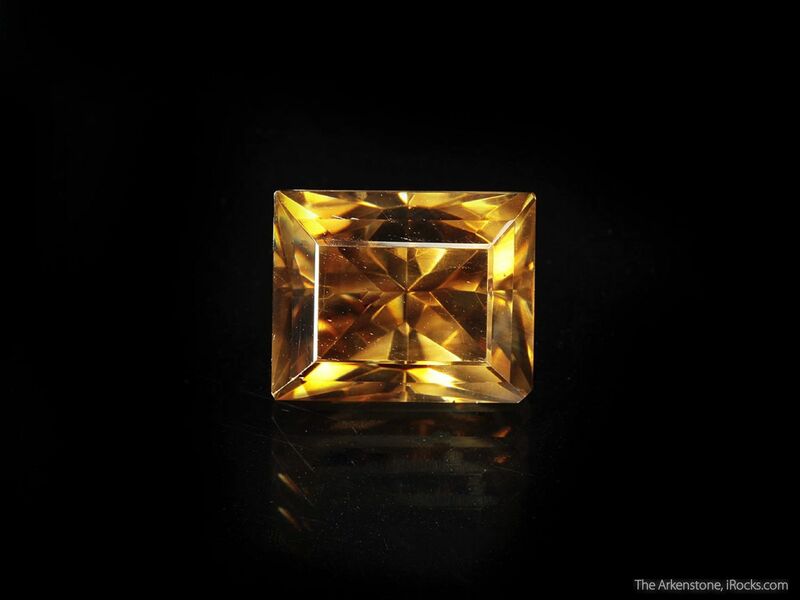 The cut is a "Modified Rectangle Brilliant", and due to the high refractive index, the stone shows a good amount of color flash in strong sunlight. 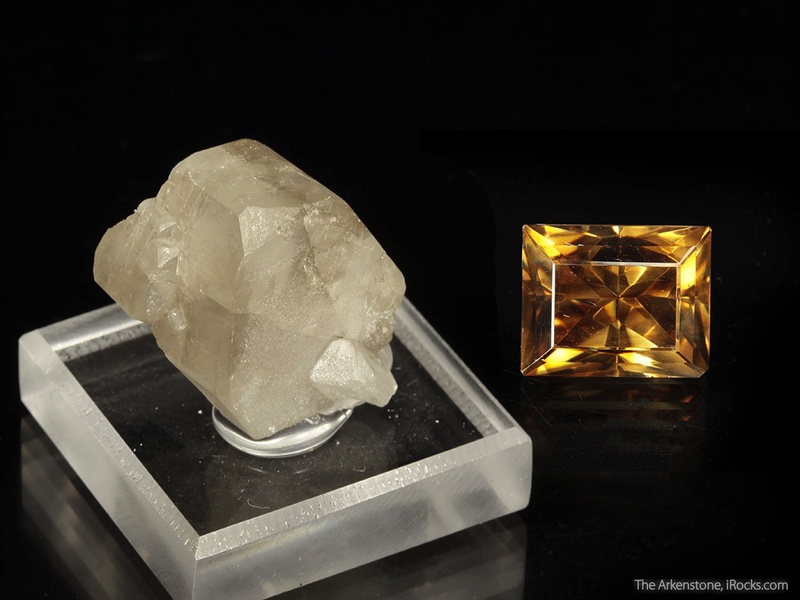 It really is the better half of this set, as I have encountered few of its size and quality from any world locality. 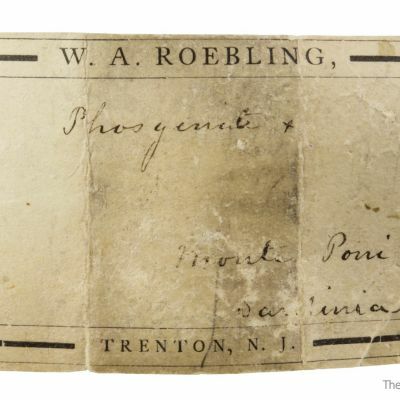 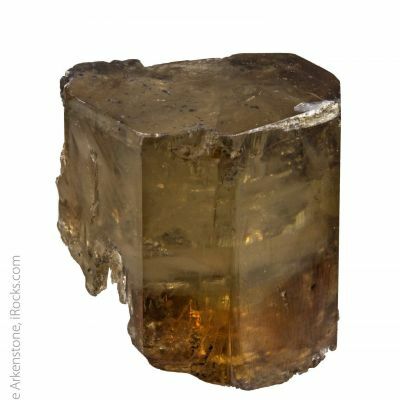 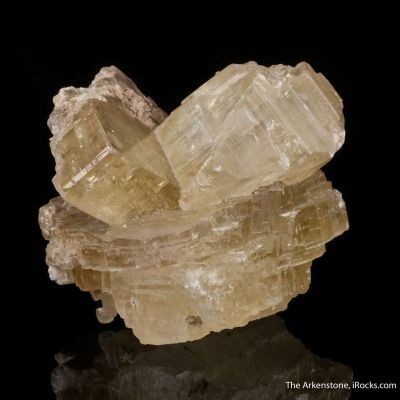 The accompanying crystal is a good representative thumbnail of Phosgenite with classic form, a light silvery-golden interior and virtually no notable damage. 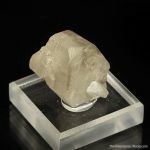 In this set, the stone is worth the money and the specimen is more or less free with it.